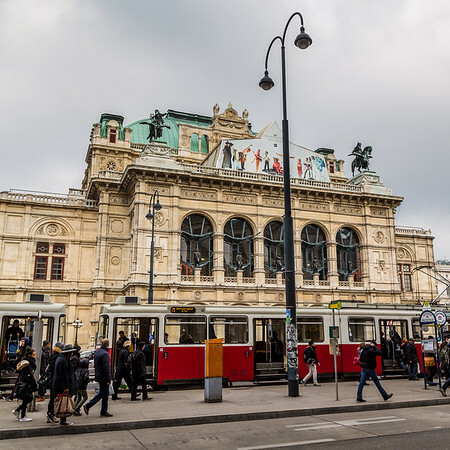 Captures from the Austrian capital of Vienna in February 2015. 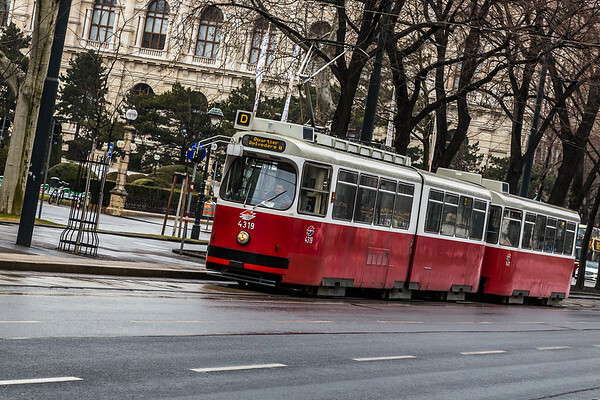 Tram roars down the Ringstrasse. 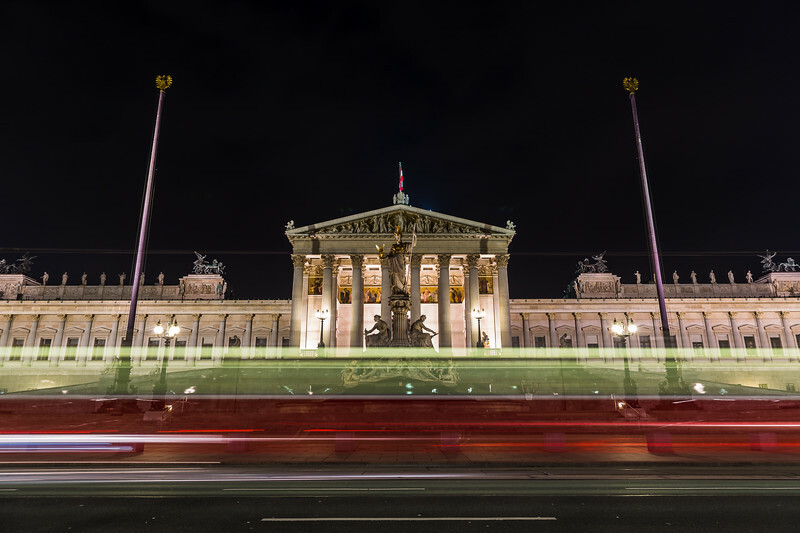 Captured in the capital of Austria during February 2015. 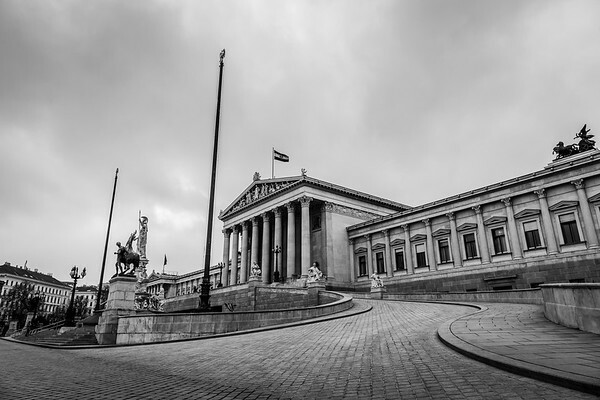 Austrian Parliament Building in monochrome. 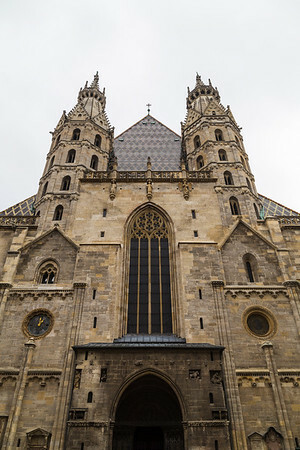 Stephansdom in the centre of Vienna. 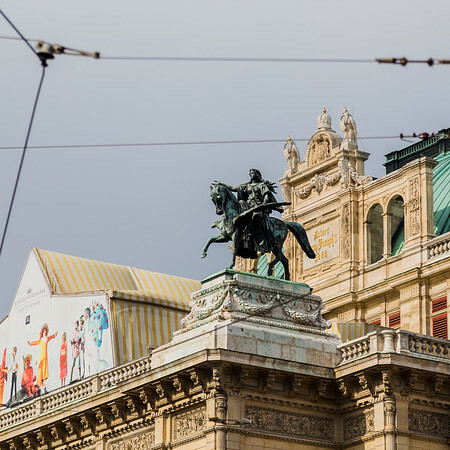 Statue in front of Austria's national opera house. 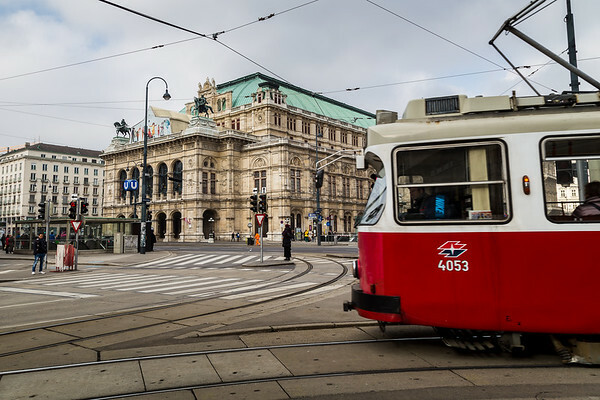 Tram passes in front of the Wiener Staatsoper. 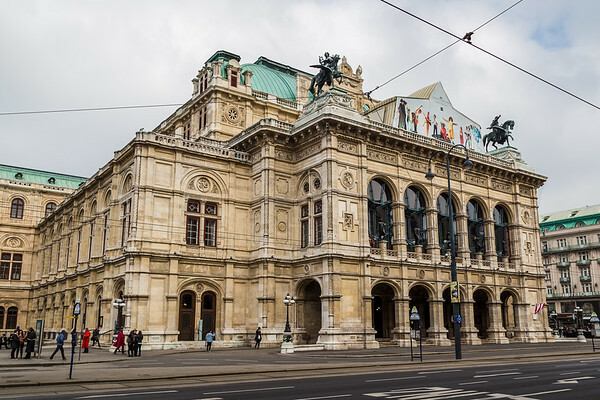 The impressive Wiener Staatsoper (Opera house). Gardens of Belvedere Palace in monochrome. 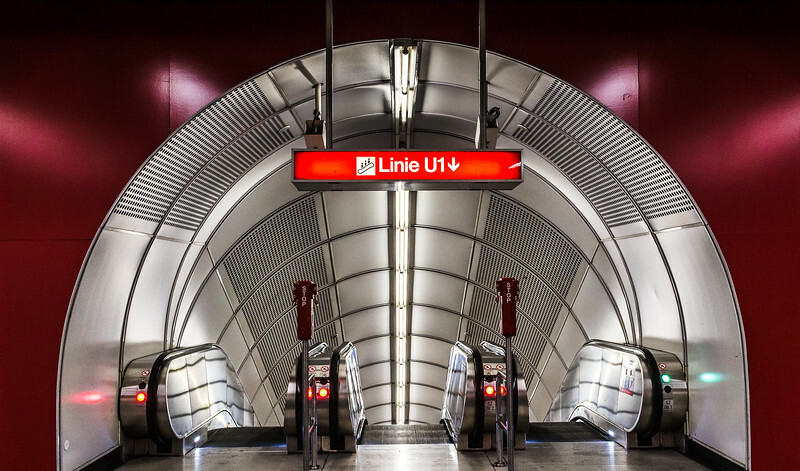 An entrance to U1 at Stephansplatz.